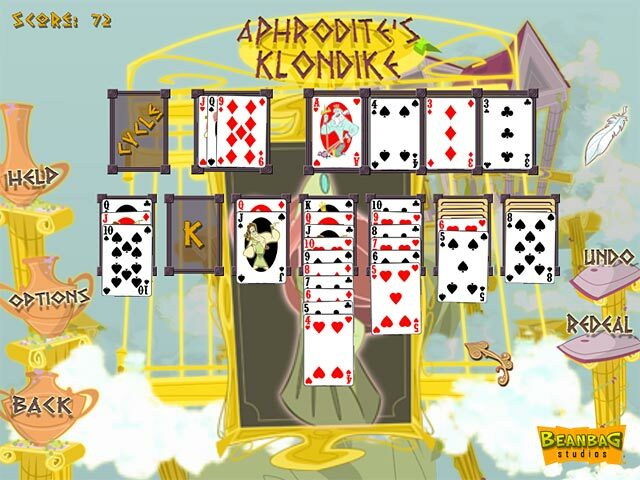 Take on Hades himself in ten different action-packed Solitaire challenges. Endless hours of fun will bring you back again and again to the slopes of Mount Olympus. Hades fancies himself quite the Solitaire player, but the Goddesses claim a human could match his skill. In a snit, he`s gone and locked them all in their temples until a mortal actually beats him. 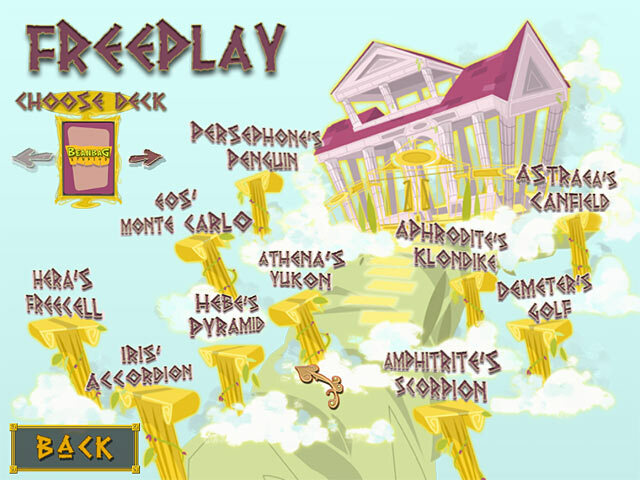 Survive the wrath of the Gods through two separate play modes and free the Greek Goddesses of Solitaire! 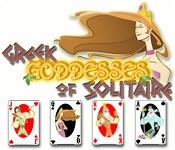 Greek Goddesses of Solitaire is rated 3.0 out of 5 by 4. Rated 4 out of 5 by mrm2006 from Release the Goddesses. The concept of this game is to play against Hades to free the Goddesses (of which there are 7 I think) by playing various games of solitaire. Many of which I have never heard of but instructions for every game are available at the "help" button. I had no problems with these games. You do not have to beat the game to win it or free the goddess, just get enough points. You will be told when you have enough points and have the option to quit the game (beating Hades and releasing the goddess and moving on to the next level) or continuing the game. I continued once but when I could go no further in the game, I could not find a way out of the game. 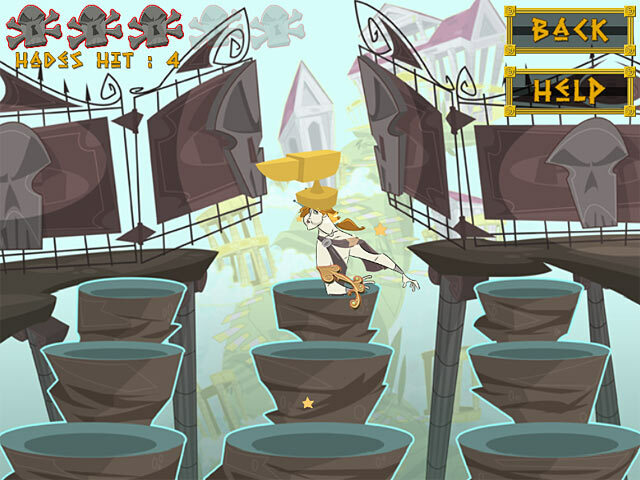 In between several of the levels there is a bonus game. Although this is play with cards, it is played with the concept of the pea under the cup game. You start with 3 cards, one of which is the Queen of Hearts. Click on shuffle and when the cards are finished, find the Queen of Hearts. If you win, yay. The next time you "bonus" up, there will be 4 cards but the game is the same. I had no problems with this game. Dare I say this game was somewhat easy for me so I'm going to pass but recommend it for those who like a variety of solitaire games. Happy Gaming! Rated 2 out of 5 by kiwis00 from Meh... If you know the many ways to play solitaire then I suppose it could be worth it but for an intermediate or beginner it is annoying and frustrating when you only know a few ways it is frustrating because it will certainly not teach you how to play other ways to play solitaire. You have to practice with another game that does give you instructions and show you how because clearly this is not the game that teaches you. It is so annoying! Rated 1 out of 5 by Hooford1 from Irritating amateurish solitaire game. I enjoy many Big Fish solitaire games -Seven Seas and Chronicles of Emerland for a challenge with great storyline, Chronicles also having beautiful graphics. For just relaxing World Class solitaire, Regency and Hoyle Miami are just right. "Greek Goddesses" has no story line, graphics are amateurish, instructions not helpful, and an extremely irritating flying creature who is supposed to help if stuck is useless. Also,unless I missed something, game is too short. Don't buy. Take on Hades himself in action-packed Solitaire challenges. Defeat him to free the Greek Goddesses of Solitaire!